Contrary to claims of Ann Coulter, Bernard Goldberg, Bill O'Reilly and other voices on the right, WHAT LIBERAL MEDIA? proves the news media is far more conservative than liberal. 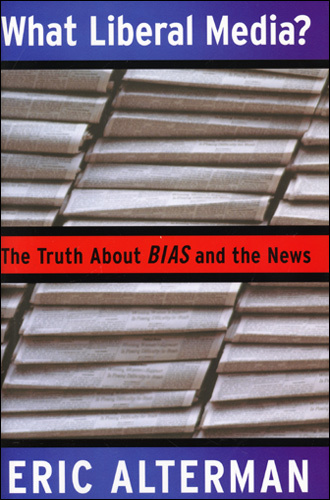 Author Eric Alterman reveals how "mainstream" media has adopted the language and slant of the right (and often, the far-right) while claiming to offer a balanced view. Even once-liberal news sources like The New Republic have moved steadily towards promoting conservative views while attacking voices of dissent. Alterman traces the growth of the conservative media as the bandwagon started in the Clinton years, then accelerated during the Y2000 election. While usually GOP-centric, the anti-liberal bias also springs from the corporate media's cheerleading of the stock market and any issue involving free trade. Another important factor is the downward slide to news as entertainment, leading to broadcasters featuring showmen such as Chris Matthews instead of experienced journalists. Packed with hard facts and examples, WHAT LIBERAL MEDIA? is the perfect gift for Dittoheads and Hannityites!